Had a play and did these two, slightly different but the basic design is there. Lovely cards Di, great colouring in. Love the two orange papers, Di - don't usually go for orange but these are just right. T'other one is very pretty colours and I love the way you have really brought out the pink in the pattern with the dark pink mount. They're both lovely Di and I'm glad the sketch has been used. That tortoise is proper cute, lol. 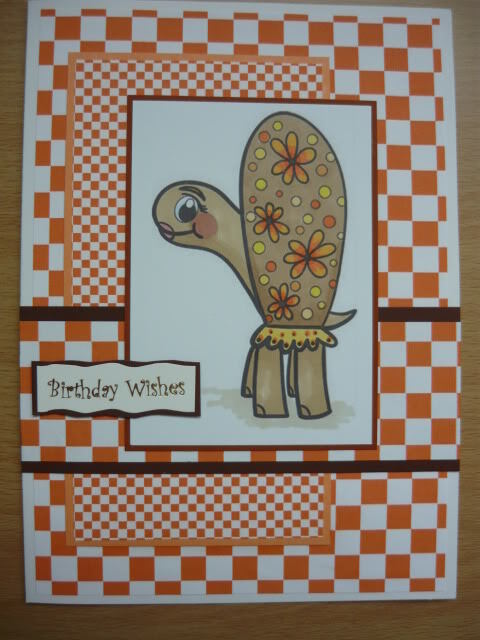 Lovely cards Di and nice bright colours on the tortoise. Struggled with this one, picked the wrong colours could not do anything with them. Love that colourway, Billie - don't know why you're disappointed! Want to have a go at this one myself, but have been trying to finish a friend's birthday card for about 5 days now! The brown and turquoise go well together Billie. Cute image. Yeah, I like blue and brown too Billie, and it's a lovely blue. Like the colours Billie, great card. 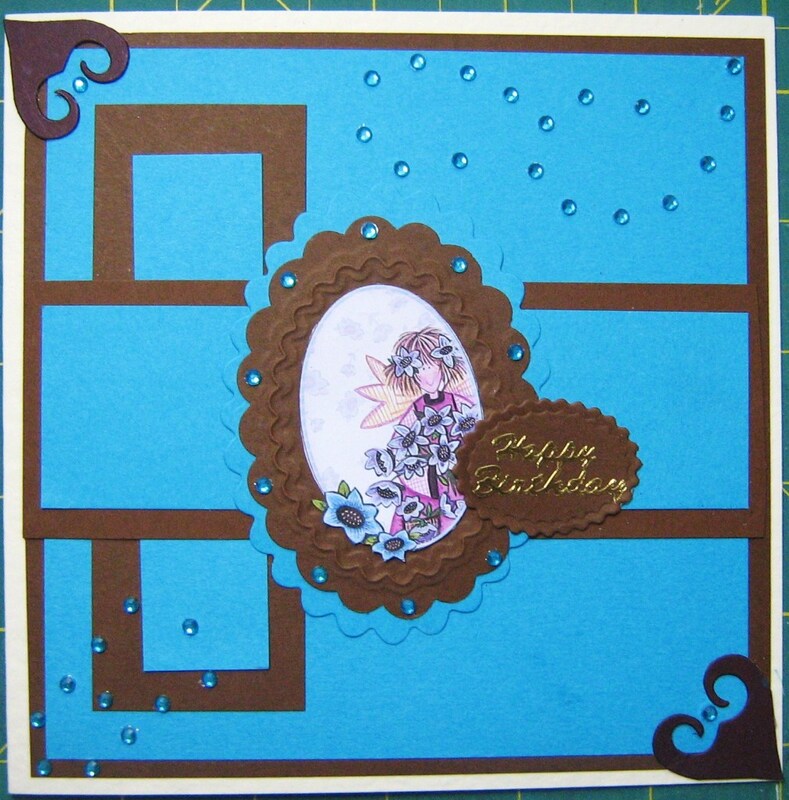 Great cards Di and Billie, i love brown and blue together great choice. Di the turtle card is fun and the flower one is pretty. Very nice, Ruth and Billie. Makes me want to get crafting. There's no rush for these things right? Lynda this was a large embossing pouch and I had to fold the card round it, that made it quite a job to get through, but it went. Great card, nice mix of papers for a mans card. Great card, like the colour combo. Smashing Karelyn. Love the image. Really like this, Karelyn: so hard to do cards for men and this is a great idea which could be used with lots of different images. Edited to say: could just imagine an image of a hand holding a rugby ball being touched down, perfect for a rugger player. no rush at all karelyn lmao !!! What a great use of a 'special'penny.